Planting seeds, especially small seeds ~ This is a step by step pictorialization of the how to germinate seeds using cell flats and germinating media. This is a very important science. 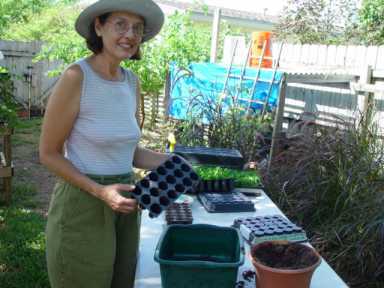 The goal is to germinate 100% of the planted seeds. We are holistic, sustainable growers so every seed counts. We start with a cell flat. Loosely fill each cell with the media. 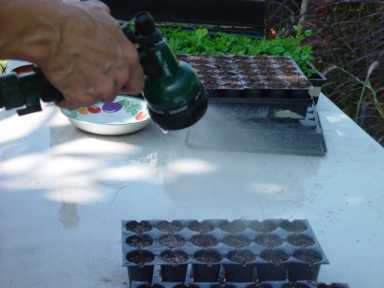 Lightly mist or sprinkle the media filled tray to moisten and settle the grow media. We do not want to pack the media just soak and settle it a little. 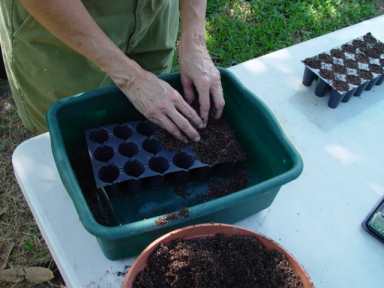 Then let the tray sit for a few minutes and you are ready to plant. 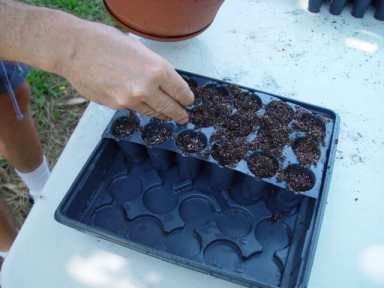 Plant each cell with 1 or 2 seeds. 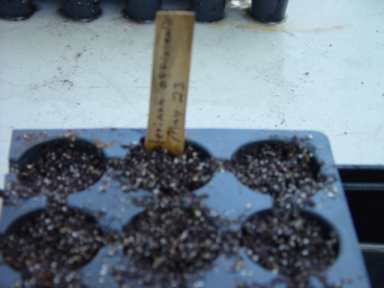 The smaller the seed, such as FeverFew, the more often I will sow 2 or more seeds. Caution, some seeds will require only a light covering, So, sow the seed and gently sprinkle media over the top of the seeds. 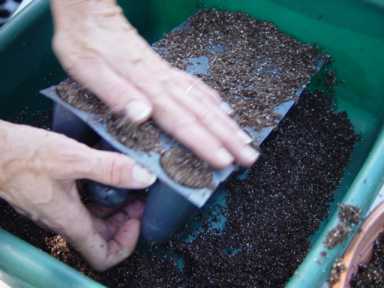 Cover seeds with thin layer of planting media. 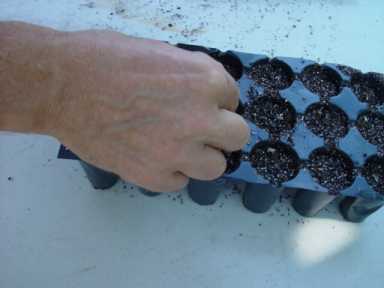 The idea is to get the seed in the middle of the cell and covered enough to keep the seed moist. 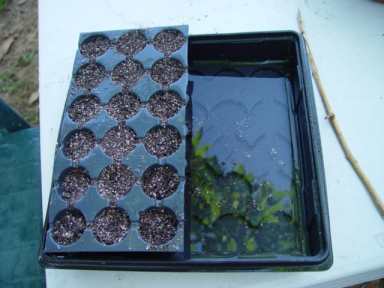 Germination requires air and water ..